I was able to my an early preview to this power bank before it actually hits the shelf. At the rate of my reviews, I'm practically living and breathing power banks. 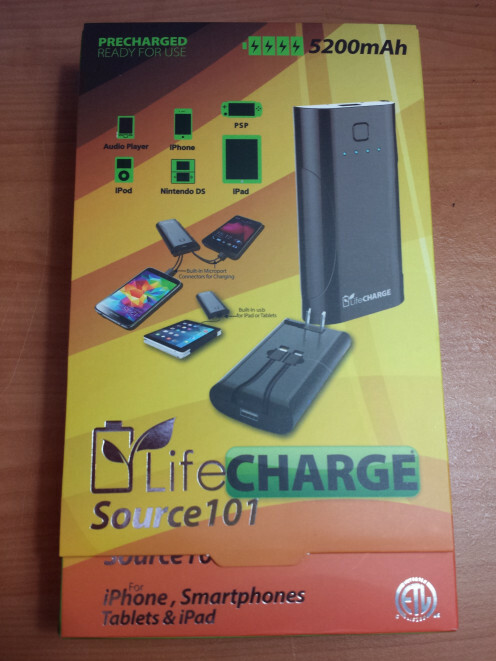 Nevertheless, I find the LifeCHARGE Source 101 to be quite interesting. It takes care of several issues facing other power banks. I am a heavy smartphone user and a power bank really helps me get through the day. With my bag, I am able to carry two micro-USB to USB charging cords. I leave my wall adapter at home and recharge the power bank when I get home. Depending on which version capacity I am using, the power banks take a day to a day and half to recharge. Like my usual reviews, I will try to keep it as reader friendly as possible by estimating hours and charging times with my own phone for comparison. 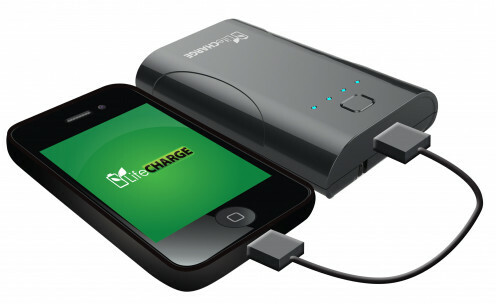 Received permission from LifeCHARGE, subsidiary of Blutron, for use of the following image in this review. 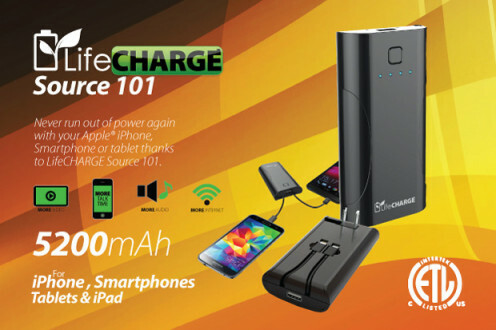 I pulled this info-graphic like image as it actually highlights many of the strengths offered by the Source 101 power bank. It houses lithium-ion batteries, which has its advantages and disadvantages. The disadvantage is simply the size. Due to the cell rigidness, we have to put up with this bigger size. I do not find this too big of a deal as it does not really affect the storage and transport. The advantages are actually better energy density and more cost efficient as compared to polymer batteries. By keeping the overall costs low, it is much cheaper to purchase one of these bad boys. 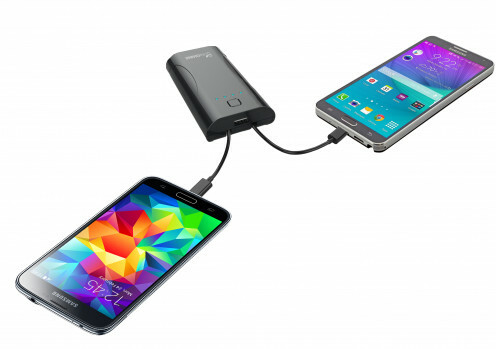 In regards to the capacity, 5,200 mAh is capable of charging the average device twice over. What this means is that you can expect to charge your phone from a low-battery state of 15% to full twice. This means being able to use your smartphone for three times longer than before. As a commuter, I see great benefit in this as it keeps me connected on the go. For a smartphone like the Samsung Galaxy S6 or Galaxy S5, it will be able to provide one full charge and a bit over 70% on the second charge. 2 cords and USB port, what's up with that? 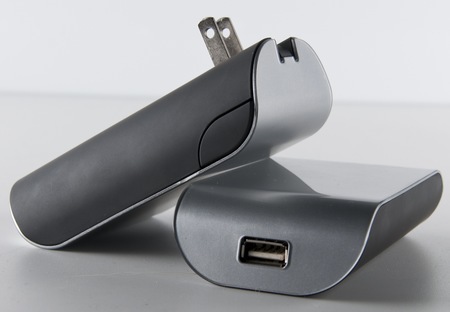 This power bank can simultaneously charge two devices. Which devices to charge is completely up to you. However, I would like to clear up some confusions with this setup. I was a bit confused at first so I am pretty sure I am not the only one. Let's start off with the back image to see just exactly what I want to clear up. This image shows that it is possible to charge two devices via the built-in cord. These two cords have micro-USB ends. This means that it will work with just about all non-Apple devices. If you have a smartphone running on Android or even one of the older MP3 media players, it will most likely be rechargeable using this power bank. To determine whether or not this is possible, simply look at your device and see if it uses a micro-USB input. For all other devices, this is where the USB port comes in. You will have to supply your own cord to charge other devices. This applies to all Apple devices. It includes all generations of the iPhone, iPod, and iPad. Older Apple devices use the 30 pin plug on one end and a standard USB on the other end. Newer Apple devices use the lightning plug. Regardless of which generation you have, you will have to carry around an extra cord in order to use this power bank. 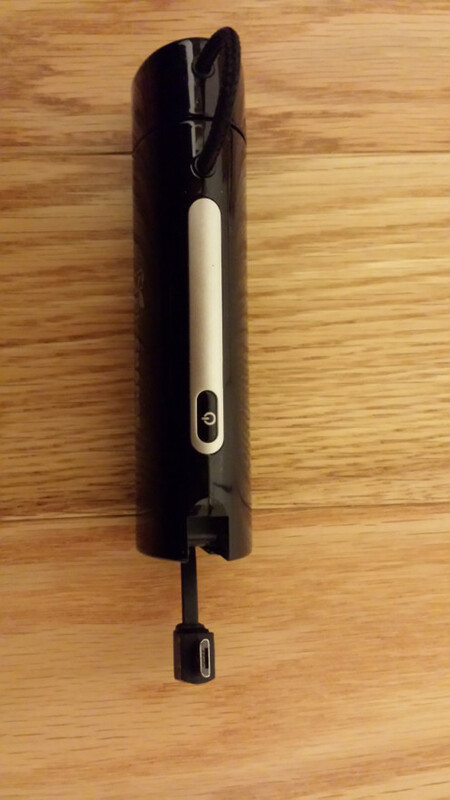 The two cords supplied by this power bank are micro-USB output plugs. There is only a single standard USB output. This means that you can only charge one Apple device at a time. With two micro-USB plugs and one standard USB port, you can mix and match charging up to a maximum of two devices. This power bank cannot handle charging for more than two devices. In one of my other reviews, LifeCHARGE made a bit of a flub with the built-in cord. I am glad that this improvement has been made. For those wondering, this image below is what I am talking about. This is the LifeCHARGE 2,600 mAh power bank. It features a pull-out micro-USB plug for charging. I mentioned that there was a design issue here. The "cable" is a thin piece of metal conductor coated in plastic. After taking out the cord a few times, I could already begin to see the plastic cracking. Luckily for us, improvements have been made to the two cables. These cables are more flexible than before. In this case, flexibility does mean durability. I will be taking a closer look at these on my hands-on testing. 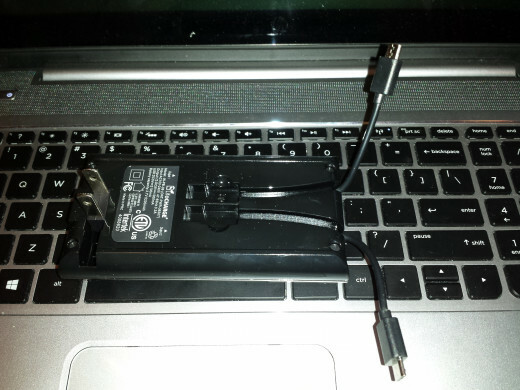 This is by far one of the most significant advantages the Source 101 has against other power banks. In my other power bank reviews, I often stress the need to buy a 2.1A output wall charger. I also advised against buying a cheap no-name brand due to controller sophistication and current protection. This will be the first time I will opt-out of mentioning that. I believe more and more power banks really need to have a built-in wall adapter. This solves a few issues actually. The first is that it eliminates the need to carry around an external wall adapter along with a USB to micro-USB charging cable. Most people probably have one or two wall adapters lying around as it comes with smartphone. It is true that this is often interchangeable, but not all smartphone wall adapters deliver the highest 2.1A current. Lower current results in longer charging time. The second issue lies in simultaneously charging your smartphone and the wall adapter. Before I got my 5-port Anker charger, I was tempted to buy a second wall adapter in order to charge my power banks and smartphone at the same time. The time really drags along as you wait a couple of hours charging your smartphone and then a day or so for the power bank. Having a built-in wall adapter actually improves safety. There are quite a few sites out there that do tear-downs of wall adapters in order to identify the real and fake. The "iPad Charger Teardown" was by far the most well-written. The author, Ken Shirriff, does a great job debunking the dangers of using a cheap, knock off adapter. In conclusion, it is best to make a good investment in a high quality wall adapter. This can usually mean shelling out an extra $30 to $40. The Source 101 provides a wall adapter internally to eliminate the need of using a cheap, knock-off wall adapter. You never have to worry about carrying cords and adapters again. I was able to find another company that also internalized the wall adapter. For those that want true convenience, which do you choose? The Source 101 offers a 5,200 mAh capacity while the Zagg Sparq offers a 6,000 mAh. Both eliminates the need for additional cords and charging adapters. At the end of the day, I wouldn't say the Zagg Sparq is truly independent. You still need to carry around an extra cable. Furthermore, there is no LED indicator of battery level. You could be traveling with a drained power bank for all you know. 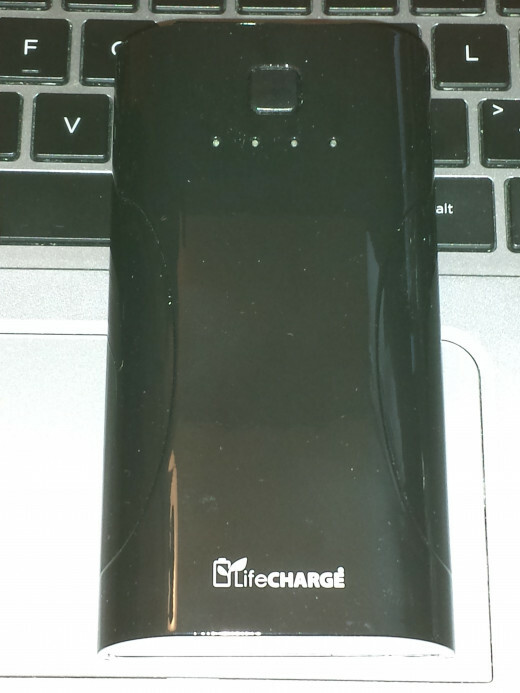 Like all of its packaging, LifeCHARGE aims for this same consistent look. All power banks come pre-charged so I actually had to drain mine in order to do a charge test to see how long it takes to charge. I usually praise the packaging as I stress not throwing it out. This is because they make great storage boxes thanks to the magnetic flaps. There is a slight design change so I actually ended up ripping my box in order to get to the power bank. It took quite a while to get the right image with the glossy finish. Having a glossy finish definitely looks much nicer. The downside, of course, is fingerprints. It is very prone to fingerprints and oil smudges. It isn't too noticeable and not a big deal. This is a power bank. It either sits in your bag or on the tablet while charging your device. Material wise, it is plastic. It doesn't feel flimsy or weak so that is a good sign. The button you see toggles the power bank on and off. However, it isn't as simple as a click. At first I thought my unit was defective, but it looks like I was handling it wrong. Clicking the button will simply flash the LED lights. Think of this as a power checker. It shows you how much power you have left in the power bank. To actually turn the power bank on and off, you need to press and hold for about five seconds. You actually even do not need to turn off the power bank. Once you unplug your device, it will turn off automatically. This is just another great feature to prevent power loss. Unfortunately, the downside to this power bank is the 1A output. Both micro-USB cables and the standard USB output only delivers up to 1A. This means that it will take much longer to charge your device as compared to a 2A output. The significance of mentioning the 2A output is because most wall adapters can produce a 2A current. For my Samsung smartphone, the wall adapter that comes with it is a standard 2A. This means that I should expect the power bank to take twice as long to charge my smartphone as compared to the wall adapter. This isn't so much of an issue for me because I commute on long train rides. 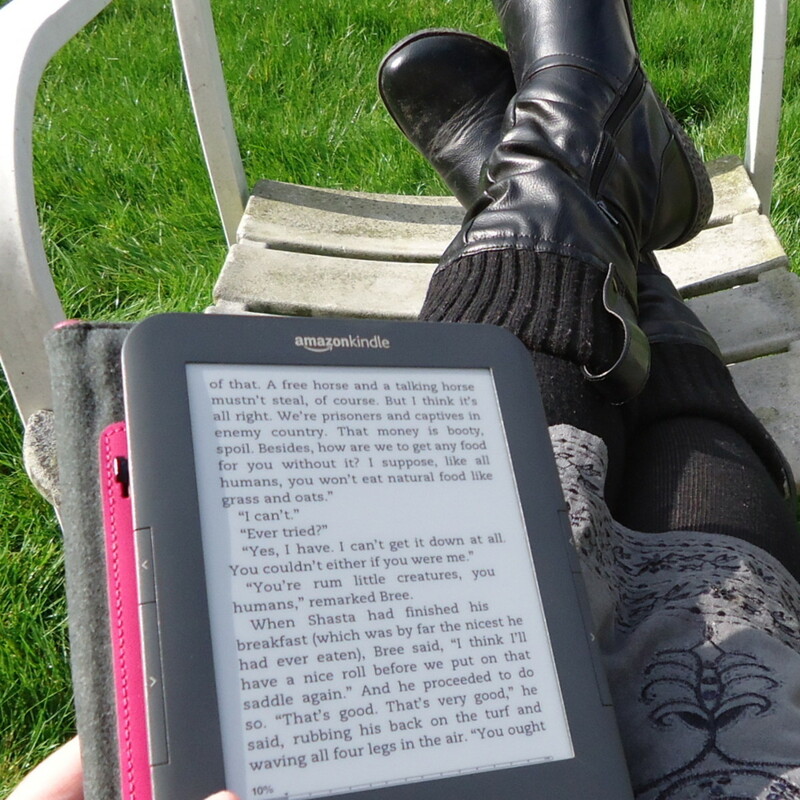 I am usually on my laptop or reading a book. During this time, I let my smartphone passively charge in my bag. If you are in the situation where you need a fast charge, you might want to consider some of the other power banks I have reviewed. The LifeCHARGE Mega 16,800 mAh is a beast that can do some serious damage (charge your smartphone super fast). For most, speed isn't really an issue I would say. However, it would have been nicer to see at least one 2A output. Took me a while, but I finally drained the power bank. The charge test is essentially to see how long it takes to charge this power bank. Of course, the faster the charge the better. Unlike smartphones, I would say it is best to unplug the power bank after it is fully charged. I have a habit of leaving my smartphone charging even after it is fully charged. The tear on battery is minuscule. 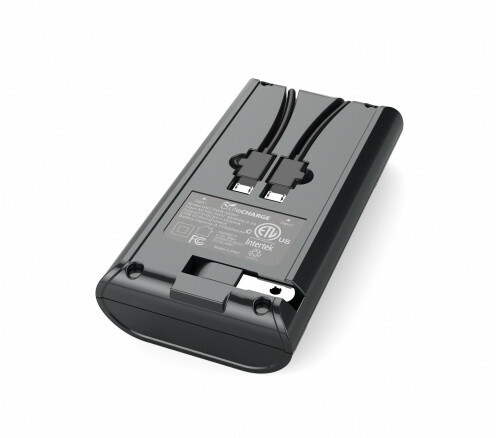 You will end up wearing out the battery from daily use as compared to simply overcharging. Can the same thing be said about power banks? Generally speaking, I would not recommend overcharging. The capacity is much higher. Power banks have great shelf life with minimal natural discharging so there is really no need to charge them to its fullest. Moving on, I have broken down the charge time based on 25% intervals as that's what the four LED lights split off to. There are two takeaways from this charge test. First is that the charging takes quite a while - eight hours to be exact. The second is the charging speed differences. The first 25% represents the critical or turbo charge. Smartphones generally follow the same procedure in order to prevent the battery from slowly draining. The "middle" or majority of the charge is at regular speeds and then the battery goes through a trickle charge state as it nears full capacity. My recommendation is to leave this charging overnight at least. It does take a well so it does not make much sense to do any intra-day charging. I would not say it would do much good. 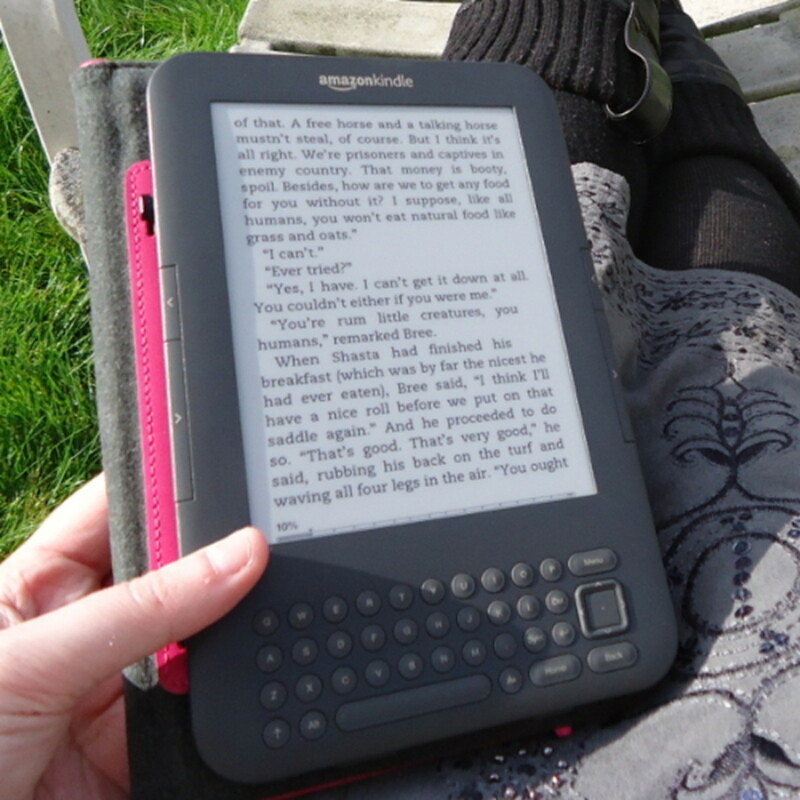 Nevertheless, it works well for travelers. It makes sense to charge it in the night and then grab it and go in the morning. If offers convenience as it does not require handling any cords or wall adapters. The Source 101 has a killer design. The gloss coating is a very nice touch. The overall quality is superb with a durable premium plastic feel. The battery capacity is a bit on the lower side as I have seen 10,000 mAh and 16,800 mAh power banks not much bigger in size. Convenience almost achieved a perfect score as it is just a tad away from perfection. Notice the standard USB output still actually requires a separate cord. For iPod, iPad, and iPhone users, a separate cord will have to be provided by the owner's expect. The performance got a mark docked with a lack of 2A output. However, it recouped much of its points for dual charging. Not many power banks can simultaneously charge two devices so this is definitely another plus. I do recommend this power bank for minimalists that seek greater convenience. With this power bank, there is no need to pack extra wall adapters or charging cords.